← Cyber Espionage and Trade Secrets — U.S. Strategy and Global Action. U.S. Energy Revolution and Exports — Need For Updated Laws, Both Domestic and International. The energy revolution in the U.S. has gigantic implications for the U.S. economy and its trade relations. It involves major confrontations between interest groups within the United States. It also poses newer problems of domestic and global trade law. U.S. industry that uses energy, such as the chemical industry, wants this new expanded production of natural gas to stay in the U.S. 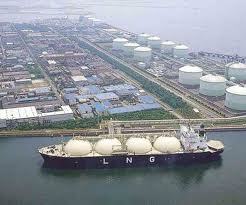 The energy producers, such as Exxon Mobil, want to export much of it. This is a trade battle that is going to be fought out primarily in the U.S. Department of Energy and other agencies involved in export licensing. It is going to be a huge battle. The U.S. Dept. of Energy is clearly in the cross-hairs. A 1938 U.S. law that governs energy export requires it to consider national interest in the licensing process. This includes the interests of all parties which includes the economic and national security interests of the United States. The United States is under the legal rules of the WTO. For example, Articles XI of the GATT agreement imposes a condition that national export restrictions must be applied only on a non-discriminatory basis. While the field of export restrictions is viewed as an undeveloped area of WTO law it is growing as a center piece of global trade disputes today. Both the EU and the U.S. have recently brought actions against China concerning its export restrictions (as to export of raw materials and “rare earth” exports). I have two points. One, there will be a battle between domestic industry groups within the United States over future export of natural gas. Two, both the domestic law in the United States and global trade law needs to catch up with technological developments inherent in the energy revolution taking place here in the United States and elsewhere. “Energy Exports from the U.S.” Wall Street Journal (Feb. 24, 2013). This entry was posted in Global Trade Relations and tagged 1938 energy law of the U.S., Dept. of Energy and energy exports, emerging WTO law on export restrictions, energy exports from the U.S., energy revolution, Gatt articles XI and XIII, global energy exports, natural gas and shale exports, U.S. and EU actions against China for export restrictions, WTO law and export restrictions. Bookmark the permalink.